For most people, education means the classroom environment with a teacher up front with a chalkboard and the students sitting in rows to listen to lectures and jot down notes. This style of learning was formed over centuries of trial and refinement, from the Ancient Greeks to the Industrial Revolution and all the way to modern times. It’s now facing another sea change with the advent of online technology and the new ways that people can learn in the 21st century classroom. Welcome to a new world of alternative education. There are some current examples that have been shaking things up for the rest of the world. For instance, Finland is now known for an educational system that would make conservatives’ eyes twitch. Her Scandinavian neighbors are all known for their own high educational standards, but Finland’s is rather even more unorthodox in comparison. For one thing, Finnish students rarely get exams or homework. They also don’t start school until they’re 7, and their first six years of education are not graded; their only mandatory standardized exam is taken at age 16. Students are not segregated between those who perform very well and those who don’t perform as well; they’re all taught in the same classroom. Also, teachers in Finland only spend 4 hours a day in the classroom and take 2 hours a week for “professional development”. There are also more teachers per student available compared to the rest of the world. These are some forms of education alternatives that are different from the traditional sense of education that we are used to. Many of these are ideas that others would view as counterproductive to learning, but they’ve proven to be great for keeping students engaged in learning. Finland has the highest graduation rate among all European countries and the smallest gap in student performance in the world. This means that more citizens in Finland are “properly educated” compared to the rest of the world, making them an envy of educators everywhere else. It seems that there is some sort of value in studying alternative education programs implemented in these regions. Then there’s a novel form of teaching that is now used in 15,000 schools and taught to around 5 million students. Some may think it’s rather silly, but its wide implementation shows how well it works. It’s known as Flocabulary, a rather unconventional way to teach vocabulary and United States history that was inspired by hip-hop music. It was founded in 2004 and has since become one of the great ways to keep students engaged while learning proper English vocabulary and pronunciation. While it may seem silly for traditionalists, it has proven its effectiveness. Let’s look into the more established ways of education and schooling that has been the standard for a very long time. There’s Montessori education and the Socratic method, two schools of thought in education that have stood the test of time and proven to be great foundations for facilitating teaching and learning. There’s also homeschooling, which has yielded some of the most brilliant minds throughout history – as well as its evolution that’s also worth noting: “Hackschooling”. There’s also unschooling, which many would view as counterproductive but has come up with great results as the learner gets to choose what he/she wants to learn instead of being subjected to mandatory education. So what other educational alternatives are there? 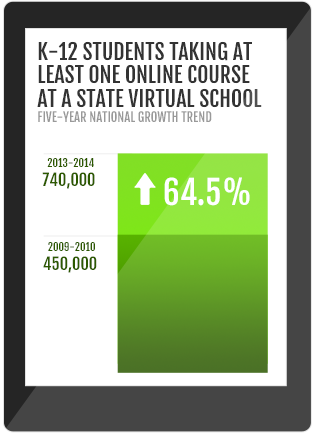 Of course, due to the advent of online technology, the latest and greatest in education is online learning. Whether it’s a computer or a mobile device like a phone or a tablet, this type of alternative learning is becoming more and more popular. It’s now possible to learn so many things through the Internet with the online learning platforms that are widely available these days. There are many online learning platforms and tools that give you various ways to learn: from the more straight-up approach to the more off-the-cuff. For instance, there’s School of Open that offers both standalone and facilitated courses for free. 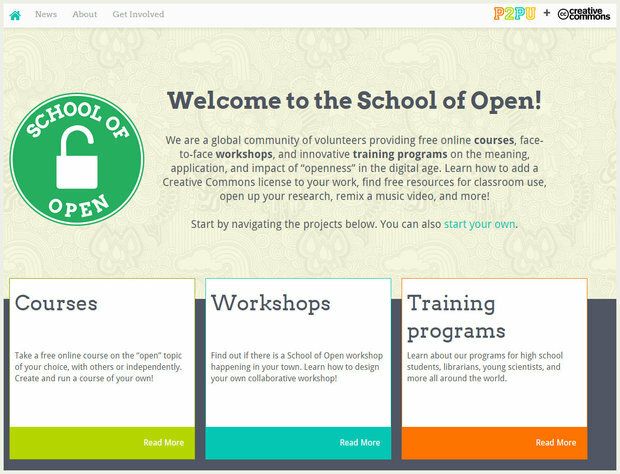 It is powered by the grassroots open education project Peer 2 Peer University and Creative Commons. There’s also Duolingo, which lets you learn a new language through its novel crowdsourced text translation platform that lets users slowly but surely learn one of thirteen available languages – Spanish, French, Italian, German, Portuguese, Dutch, Irish, Danish, Swedish, Norwegian, Ukranian, Turkish, and Esperanto. It’s an alternative schooling method for language that has helped many become bilingual. If you’re interested in becoming a better artist, Drawspace offers a library of free downloadable art lessons by established artists and art teachers. Another one is the School of Doodle, an upcoming online art learning platform backed by powerful figures in the creative world and are aiming to bring art learning by giving students “doodle dollars” that can then be used for buying real products. A novel learn-and-earn concept being put to practice. 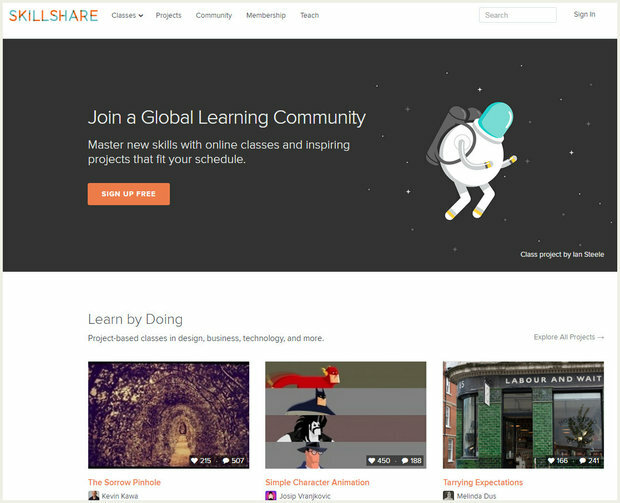 Finally, there’s Skillshare, an online learning community that teaches project-based classes in a variety of subjects. Users can enroll in some free classes, while paid members can gain unlimited access to hundreds more. There are now plenty of online learning outlets available on the Internet now, many of which are free for those who are eager to learn. There’s KhanAcademy.org, Coursera, Alison.com, and OpenCulture that are all about online learning, but are what you might consider as non traditional schools despite sometimes being more informative than textbooks at school. They have a plethora of different courses on various subjects that are definitely useful for autodidacts and students who want to supplement their current education. And if you wish to learn specific skills like building websites, graphic design, video production, and so on, there are websites like Lynda.com and Tuts+ that have numerous instructionals on a wide array of skill-specific topics. They have exercise files included that can be loaded in that particular software so you can follow along with the instructional. With them, you can go from not knowing anything at all to having crucial skills for both work and your own purposes. There are also free online courses offered by established institutions. MIT OpenCourseWare is the most famous example, letting you learn from the curriculum of one of the best and most famous technical schools in the world. There’s also OpenColleges.edu.au for those who want an even broader scope (proving that online learning is not just applicable to students from western hemisphere). There are even more ways to learn in the 21st century that are open to even those who are no longer attending school. This is truly a great time to be alive as there has been no other point in history when just about everyone has such unprecedented access to knowledge and learning as this. And this is all thanks to the progress in technology. If technology is so widely and easily accessible, then why aren’t teachers utilizing more technology in schools? Take a look at any child, from age two or three onward and you’ll undoubtedly see him or her with a computer game, tablet or Smartphone in hand. This is the age of communication technology, and it’s not going away. In fact, the world will only increase its connectivity as time marches on. Schools, too, are getting in on the technological revolution, albeit more slowly and clumsily than some would like. Students have no problem adapting to new technology – in fact, there are concerns about how such intense use of tech devices will affect them long term. There is some evidence that technology may actually be affecting the student’s brain, reports innovativepublichealth.org, citing a New York Times article that says the adolescent brain may be learning to expect distractions. This could certainly interfere with students’ ability to focus and require new ways of engaging them. It may also affect sleep and memory, but only time and research will prove that for sure. There are disadvantages of technology in the classroom amongst the advantages. However, given the current benefits of technology in the classroom, it seems like a no-brainer to incorporate technology into today’s classrooms. It’s happening, but not always at the pace or in the ways that some tech experts would like. Often, students use laptops to take notes in class, and in some classes, clickers are available to allow instantaneous polls; nonetheless, a survey by the Education Week Research Centre indicates that using technology in the classroom is more often implemented to support traditional methods of instruction rather than being the centerpiece of a lesson. Education Week undertook a survey in 2015 of teachers and the types of technology in the classroom that they used—as did Sprint. The results give us a window into technology in today’s elementary, junior high and high school classrooms. According to Education Week, although teachers may not use digital technology in the most innovative ways, technology has taken root in classrooms and there is movement toward new uses for it. Teachers employ it for instructional games, research, group projects and individual projects, too. They are willing to use technology—47 percent say they are risk takers and early adopters, and another 24 per cent will try them before they become mainstream — but barriers exist. There may be a shortage of devices available in their schools; they may not have access to the proper training in incorporating devices into lessons; wireless connectivity is often lacking; and computer devices break down more often than they should. Sprint’s “The State of Education Technology 2015” collected data from 173 district officials, principals, and teachers. Although it is a small sample, it highlights a major issue that has interfered with full integration of technology into the classroom: teacher training. Eighty-six per cent of respondents indicated that more training in education technology is necessary. “Adapting to entirely new devices and methods of teaching isn’t easy for a generation of teachers who aren’t digital natives, especially when structures are lacking to ease that transition,” the survey reported, according to meritalk.com. Forty-one percent of the respondents said that their school districts didn’t have clear plans for effectively using technology in the classroom. Many also emphasized the need for their districts to create a group dedicated to supporting teachers in using technology properly during their classes. It might also be wise to extend this group’s duties to ensuring privacy for students. Sprint’s survey indicated that some districts provide software vendors with information about individual students, including name, age and gender. Social security numbers are also provided in some areas, said 2.3 percent of respondents. Meanwhile, 14.4 percent of the parents involved in the survey said they weren’t apprised when their child’s information is given to a vendor. “It isn’t enough to wait for lawmakers to craft updated privacy laws for student data use—schools and districts must be able to ensure compliance both with existing laws and the wishes of parents,” maintained the survey. Integrating technology into the classroom shouldn’t be optional, noted a recent study by researchers at the Massachusetts Institute of Technology. They maintain that it is imperative for teachers to use technology to achieve educational goals. Otherwise, students will experience a disconnect between life as it is experienced in the world compared to how it unfolds in the classroom. The classroom must reflect the world in which they will grow up and become productive. This is coupled alongside the inherent benefits of technology. There’s no turning back from this reliance on technology, but, given its widespread use, we shouldn’t be surprised that it’s not easy to put our devices away. Take a step back and assess: are you distracted by technology? This tendency is now bleeding into our schools. Digital distractions are becoming prevalent in classrooms, which can interfere with learning. Technology can be a wonderful tool to enhance learning, useful in creating an engaging, individualized learning experience. However, it can also be a temptation to wander from the subject at hand. Any approach to electronic distractions must be tailored to the institution. Banning the devices outright isn’t practical in most situations, and students often experience anxiety when they don’t have their smartphones available, which is a digital distraction itself. The rules in a K-12 school will differ from those at a university, based on the maturity of the students, motivation, attention span, level of personal responsibility and the amount of supervision they require. In K-12 schools, for instance, by using the school’s common wireless network, it is possible to use programs that can restrict student access to sites other than those necessary for class. At a university, incentives — snacks, for example –for putting away devices might be more effective. There are many different ways to carry out classroom management in our digital age. One of the survey’s distressing findings is that 30 percent of respondents believe they can use their digital devices without becoming distracted from the material at hand. Research has shown that multi-tasking is a myth. People can really focus on only one thing at a time; what has often considered multi-tasking is actually a rapid shift between two tasks. It often causes you to miss key bits of information while you are switching from one to the other. Even if you do hear the necessary information, it’s generally not synthesized with deeper knowledge and embedded in your brain. Educators may want to offer a lesson on multi-tasking and concentration that engages the students in an illustrative activity to drive the point home. Create a set of rules around using smartphones during class and devote a class session to explaining them. The concept of digital citizenship originated in K-12 settings, where students were rewarded for learning to use technology appropriately in a classroom setting by gaining more freedom to use their devices. In a university setting, you can discuss the proper etiquette for cellphone use, emphasizing that these behaviors will also serve them well in the workplace where there will be expectations about behaving with courtesy and consideration for colleagues and clients. Psychologist Daniel Goleman, author of Focus: The Hidden Driver of Excellence, tells KQED News in California that students need to learn to focus while their pre-frontal cortexes continue to develop. This is the part of the brain that not only controls attention but manages the ability to control one’s emotions and feel empathy. This may mean teaching students attention-oriented skills such as mindfulness or lecturing in shorter stretches of 30 minutes or so before taking a break. It also may mean incorporating other approaches into your teaching – the straight lecture can be interspersed with group activities, for example. Shake things up to make things more interesting. Bored students are not engaged students. Give students a reason for coming to class and paying attention. If you put all of the lectures and class notes online, there’s no incentive to attend scheduled class sessions. An outline can suffice. Also, lecture on material that the students won’t find in their texts, making it clear that the lecture material will be included on exams. Digital technology is here to stay, but with creativity and determination, educators can maintain classrooms as places of learning, rather than turning into gaming or social media centres. The change in education explored in the above sections is coming fast and furiously, with video playing an important role. The science and research is clear – video accommodates for different learning styles and it significantly increases engagement. It serves the critical need for excitement and interest among students, and it improves learning outcomes. In learning institutions throughout North America, video has become the go-to complementary tool for high-quality education. Younger people use and adapt to new technologies in ways that are sometimes hard to imagine for those of us who remember when the Internet didn’t exist. Furthermore, the availability and affordability of portable devices, mobile phones, and incredible advancements in bandwidth and streaming capabilities have accelerated the adoption of video technologies in education. One of the most attractive aspects of video is that the learner has more control over the information he or she receives. No classroom distractions, or peer pressure, or social stress is present. Online classes can be done alone. Video allows for an additional opportunity for deeper learning. If the content is difficult, or misunderstood, or requires another view…then that is all at the fingertips of the student. They are able to stop, rewind, fast-forward, and replay content as many times as they require. A large number of studies done by colleges and universities show that video has been shown to impact grades and test performance. It makes sense when you consider the fundamental psychological elements of learning. Individual control over the pace of learning leads to student empowerment. Empowered students are successful students. By reviewing parts of a lesson or a problem, students not only achieve better outcomes, they also end up feeling that they are learning more effectively in online courses. The use of video for instruction of subjects like mathematics, allows students to expand their understanding of complex concepts by strengthening the links between concepts and actual practical applications. Maybe most importantly, it helps demystify these subjects, which are often perceived as difficult. In other words, success begets success. We’d all love to live in a world where education and access to high quality teaching were available to all those who wanted it. The fact of the matter is, there are both financial and proximity factors that make that less plausible. Fortunately, technology is helping to level the field, giving those with real-life obstacles the access to expertise at the tips of their fingers. Students can learn directly from experts without having to travel. In the past, if you lived in a rural environment, you simply did not have access to the same quality educators that you might find in a more urban setting. Online video learning is ensuring that learners can get the help they need and that they can compete in their core subjects. Learning by video allows the learner to interact with visual content, whether verbally, by note taking or thinking, or by applying concepts. Interactivity and engagement begin on the feeling side of learning. As soon as engagement happens, the process of knowledge transfer and memory increase. The end result is enhanced retention of content. Nearly 80 percent observed highly positive student outcomes as a result of their classroom use of video technology. Video consolidates visual and auditory stimuli into a single package and allows traditional and online education to be combined. On-demand video has been shown to impact grades and test performance through a large number of studies conducted by colleges and universities. 68 percent believe that video content stimulates discussions. 66 percent believe video increases student motivation. 55 percent believe it helps teachers be more creative. 62 percent believe video helps teachers be more effective. 61 percent believe video is preferred by students. 42 percent believe video directly increases student achievement. The use of video is only beginning to meet the needs of today’s learners. Learners today are fundamentally different from previous generations in the way they think and in the way they access, absorb, interpret, process and use information. Students today are increasingly visual-spatial learners, confident and capable of reaping the benefits inherent in multimedia. Video is clearly an effective tool that can have a powerful impact on student retention of information and on student engagement. If you or students you know would like to try out video learning, we’ve got a 7-day free trial at StudyPug! See if implementing online learning to supplement regular classes brings a benefit to your classroom.